We all go grocery shopping, it is simply a mundane part of life. What with the recent nationwide charging of plastic bags, it is now time more than ever to invest in promotional cotton-woven bags where numerous target audiences come together. So why not make an otherwise mundane activity a little more worthwhile by taking with you durable, visually stunning and quirky bags branded with your very own company logo? Strike up a conversation with your cashier and spread the word without trying! Whether it is for your highstreet shopping spree or more of errand runnings, the more you splash the dull highstreet with these colours, the greater the reach and advertising effect you will have on a great range of potential customers, including vegans and environmentalists through its eco-friendly form. As will our range of keyrings, pens, mugs and umbrellas! Whether as a fashion accessory or as a purely practical transport, without the bag, shoppers are lost. 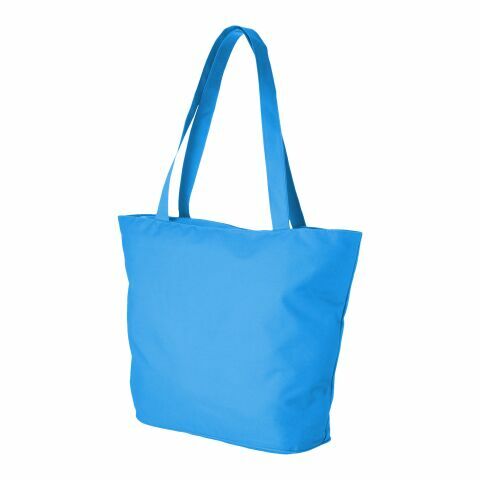 Specifically shopping bags which fulfill diverse functions and enjoy great popularity accordingly. In the online shop of allbranded you will find many different bags including the drawstring bag and canvas bag, with which our help can become the perfect giveaways. Printed, eco-friendly shopping bags are the practical companion from your day to day life. Our stock covers a large range of shopping bags from the fashionable cotton bags to stylish PP bags. Advertising professionals have long since discovered the huge advertising effect from the shopping bags. The high practical use and the possibility to optimally place the logo of the advertiser's, make shopping bags one of the most sought-after promotional products in the last few years. Ultimately its use, visibility and practicality will help you reach further than you would with traditional marketing techniques. For further effect do browse through our keyrings, pens, mugs and umbrellas. With a range of colours available including sizes, styles and materials (includes cotton woven), are foldable and have a wide range of uses. If you are looking for bags for different uses please see our range of printed canvas and drawstring bags. For those ethically conscious rest assured that the use of bags for life are highly eco- friendly and this is further supported by its high durability. We strongly recommend that you browse our printed tote bags category as well to see more of the wide range of shopping bags we have on offer. We also have printed paper bags for those looking for a more light weight, cheaper option for their marketing campaign. As particularly eye catching advertising items, these are not only stylish and elegant carrying with classic colours of black and/or white, these are highly suitable for the upscale boutique or exclusive shopping baskets as advertising gift for your VIP customers. Everyone identifies themselves as shoppers which will precisely target a universal audience. Want this advertising article to stand out? Then the original shopping baskets are just right. By means of the practical form and the high-quality processing with robust material even food and fragile objects such as glasses, coffee cups and dishes can be safely transported so do check out our personalised keyrings, pens, mugs and umbrellas. A further highlight of the allbranded Shopping Bag Collection, made of woven cotton, is the shopping bag Shopping Cart. This cleverly designed advertising medium is an all-rounder and using Velcro strips can be attached directly to the shopping cart. After shopping, the giveaway can be stowed away in a confined space by the regular shopper. Advertising is only successful if your target group perceives you in a positive light. The functional shopping bags of allbranded stand out not only due to the individual design, but also through their large surface area and therefore printing space for your logo to present your advertising message. Since promotional bags are a useful and often used companion when shopping, your logo will receive numerous visual contacts from the fellow shopper.